Texas executes Robert Ladd via lethal injection. 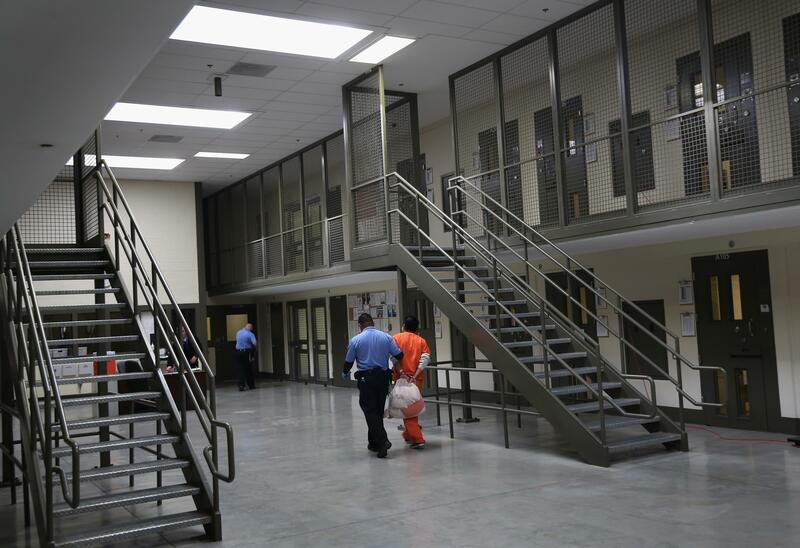 A guard escorts a detainee at the Adelanto Detention Facility in California. Following unsuccessful appeals to the Supreme Court, the state of Texas executed 57-year-old Robert Ladd by lethal injection on Thursday for the murder of a woman nearly two decades ago. Ladd’s attorneys challenged the state’s use of pentobarbital in executions and whether Ladd, who was mentally impaired, was even eligible to receive the death penalty. “Ladd came within hours of lethal injection in 2003 before a federal court agreed to hear evidence about juvenile records that suggested he was mentally impaired,” according to the Associated Press. “That appeal was denied and the Supreme Court last year turned down a review of Ladd’s case.” Ladd’s attorneys cited a 1970 psychiatric evaluation of Ladd that found he had an IQ of 67—below the legal standard of an IQ of 70 the courts commonly use as a threshold for impairment.